The Holiday Inn Express & Suites Salina is one of the newest & most modern hotels in Salina. Conveniently located off I-70. Free WiFi, Free Parking, Business Center, Fitness Center, Tesla Charging Station, NO Pets Allowed except ADA Compliant. 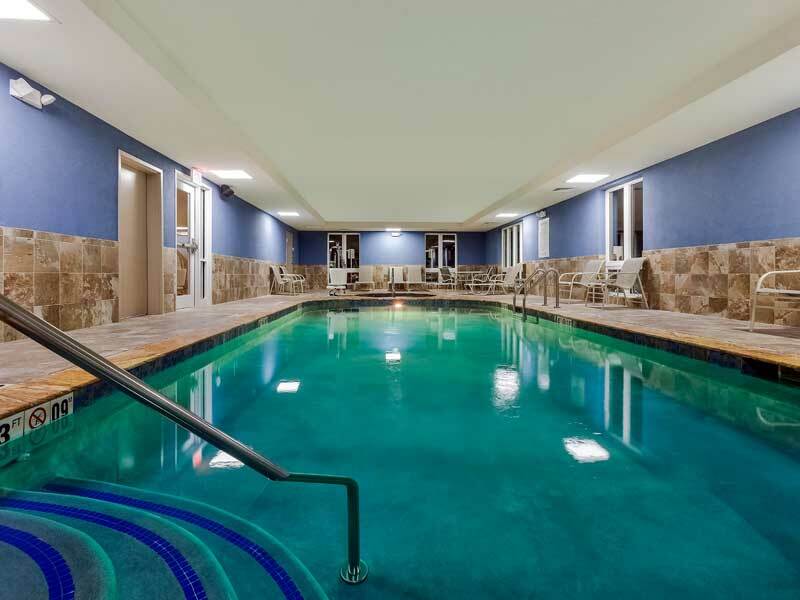 Take a refreshing dip in our Indoor Heated Pool and Spa. Our Meeting room can accommodate up to 50 people with AV Equipment and light refreshments. Cable TV with Extended Channels, Fridge, Microwave, Hair Dryer, Coffee Maker, Family Suites with Pullout Sofas. 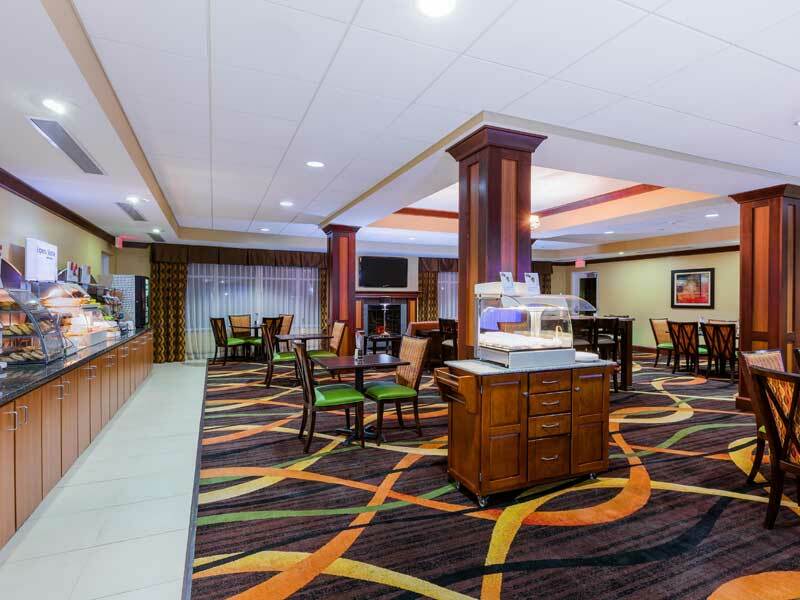 The Holiday Inn Express & Suites Salina is one of the newest & most modern hotels in Salina. Conveniently located off I-70, the hotel is minutes from the heart of Salina, Kansas and a short drive to Salina Municipal Airport (SLN). 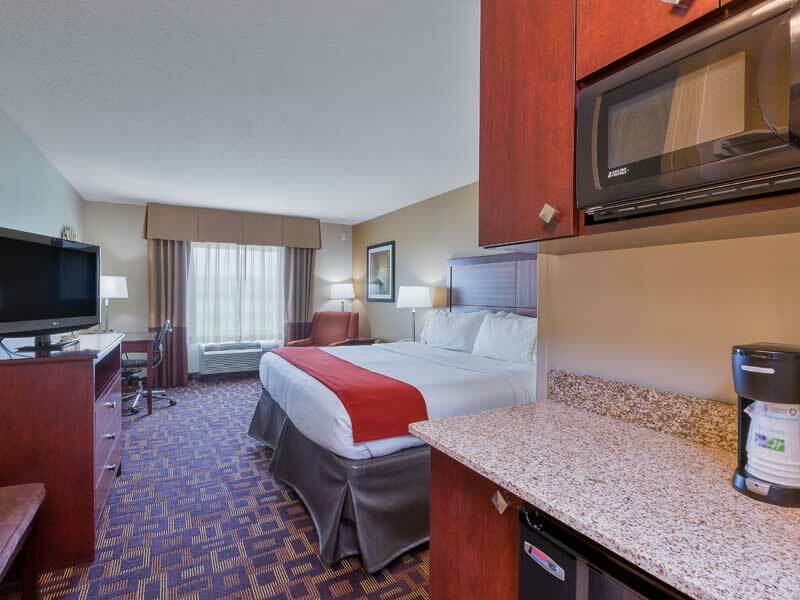 As our guest at the Holiday Inn Express & Suites Salina, start each day with a complimentary hot breakfast then enjoy our spacious rooms with microwave, refrigerator, flat panel TV & free wired & wireless high-speed Internet. Also complete your day at our Manager's Reception Monday thru Thursday 5pm to 7pm, indulge on a wide variety of snacks and complimentary beer and wine. The hotel is equipped with a heated indoor pool, hot tub, fitness center, business center, guest laundry and Tesla Charging Stations. Our meeting room can accommodate up to 50 people. While here, experience the Rolling Hills Wildlife Adventure Zoo & Museum, Yesteryear Museum, Smoky Hill Museum, and the Salina Bicentennial Center. Salina is also home to a local antique mall and unique historical shops. Local business such as Schwan’s, Tony’s Pizza, UPS, Phillips Lighting, Exide Battery, Exline, Advance Auto, Salina Surgical Hospital, Salina Regional Hospital and the Tammy Walker Cancer Center are all within 5 miles of the Holiday Inn Express & Suites Salina. Fort Riley is 47 miles east of the hotel and the Army National Guard is located in Salina. We look forward to seeing you at the Holiday Inn Express & Suites Salina! Airport : Salina Regional Airport serves as a forward operating location for military aviation units that deploy to Saline County and the Great Plains Joint Training Center operated by the Kansas National Guard. Attractions : Your journey through the 64,000 square foot museum takes you around the world to experience the delicate symmetry between humans, animals and nature in seven unique regions from the arctic to the rainforest. As you enter the Museum at Rolling Hills, you begin to sense something special. It's just after sunrise, and even before you see the gathering pride of lions, you hear the birds and other sounds of the African plains. Golf : "The Muni," as it is called by many, is located in Salina, Kansas – a city uniquely situated at the junction of I-135 and I-70. It features 6500 yards of rolling blue grass fairways in as fine of condition as any in the region. The large bent grass greens are normally quick and smooth and can be very deceiving with a prevailing southerly breeze. Four tee boxes on each hole give players of any ability a chance to test their skills. Shopping : We have a little bit of everything." Our 30,000 square foot store features brand name apparel, accessories and footwear for the entire family, all discounted up to 60%. Similar savings can also be found on a wide variety of home accent pieces including towels, bedding, candles, picture frames, and more in our home furnishings section. Welcome to our great hotel in Salina Kansas with affordable rates and cheap budget discount lodging. 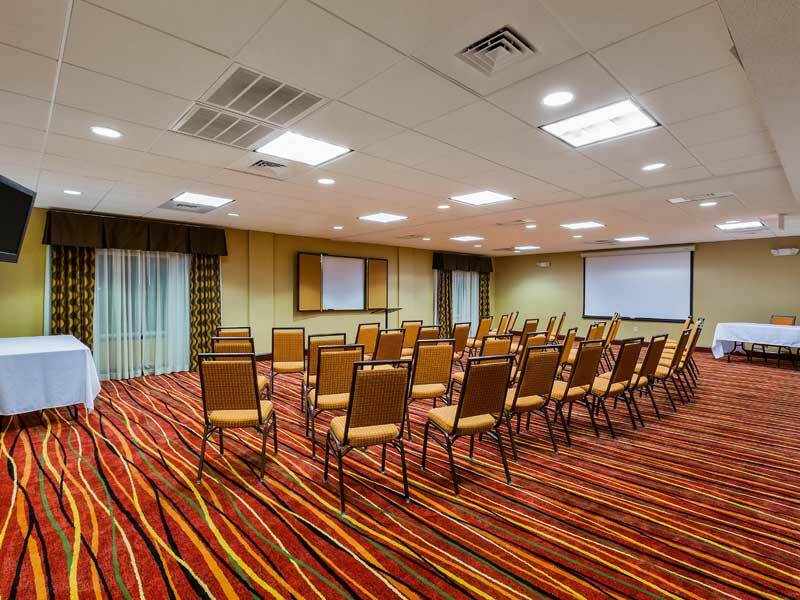 Holiday Inn Express & Suites welcomes you to our budget hotel in Salina Kansas. Holiday Inn Express & Suites will provide you excellent customer service with great amenities in comparison to all Hotels and Motels in Salina Kansas. Please visit us on your next stay in Salina Kansas and let us provide you with 4 star hispoitality for 2 to 3 star budget rates. Holiday Inn Express & Suites has been providing lodging and accommodations in Salina Kansas for sevral years and looks forward to providing our valued customer and business traveler with the best service in Salina Kansas for Hotelsand Motels in our local area. 2018 Holiday Inn Express and Suites Salina. All rights reserved.